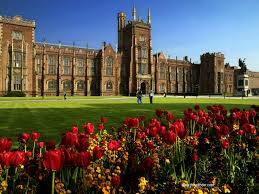 Queen’s University Belfast is to cut its student intake and academic staff over the next three years to cover an £8 million (€11 million) reduction in funding from Stormont. The university has an undergraduate intake of around 4,500 and they plan to reduce this by 1,010 by 2017. It has a current student population of 23,000, with 14,500 of those being undergraduates. The undergraduate cuts will come into effect from September 2015 with 290 places to go. Queen’s currently employs around 3,500 staff, and plans to cut 236 academic and non-academic jobs through voluntary redundancies. The college said it was forced to take this action because of a cut to its funding from the Department of Employment and Learning. The Department’s budget for higher education institutions was reduced by 8.2%. This comes two months after University Ulster announced that it would be dropping 53 courses from its prospectus in response to similar budget cuts. However it is still unclear if University Ulster will be cutting staff and student numbers. Queen’s operates on an annual budget of around £300 million (€417 million), with £97 million (€135 million) coming from the department and the remainder mostly being raised from tuition fees and philanthropic donations.